Monarch Institute specialises in providing innovative, engaging courses with a focus getting you ready to work in the real world. 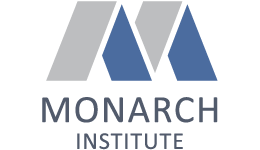 Courses are designed by industry experts and delivered by professionals who continue to lead in their fields.Monarch Institute has trained over 10,000 students across a range of nationally recognised and accredited courses. With Monarch, you’ll benefit from direct trainer support and trainers with the latest industry experience, and are available whenever you need them.Students graduate with a distinct competitive advantage because respected employers help shape the courses. The four largest employers of Monarch graduates are the Commonwealth Bank, NAB, Deloitte and the ANZ Bank.With Monarch Institute, you’ll get a different experience. You'll get the skills that employers really want, flexibility to study in a style to suit you, and unrivalled support that is delivered with care.